1. It addresses the BTC-e API changes and the frequency of trades. The update will be automatically applied to your robot. Therefore, there is no action required on your part. You might want to exit the robot (right click on it in the tray and choose exit) then re-install the new version from the members area. The robot should re-install smoothly and keep your trading and api keys settings, so the new version will pick up trading without any problem! Can I Upgrade From Silver to Gold/Platinum? Of course you can! Trading with the silver robot requires you to keep your PC on all the time. The internet issues, windows updates and other programs can disturb your trading. For maximum performance, I would suggest for you to upgrade to Gold or Platinum! To upgrade your robot, you just need to log in to your members area and look for the Upgrade tab. Then click on Upgrade. 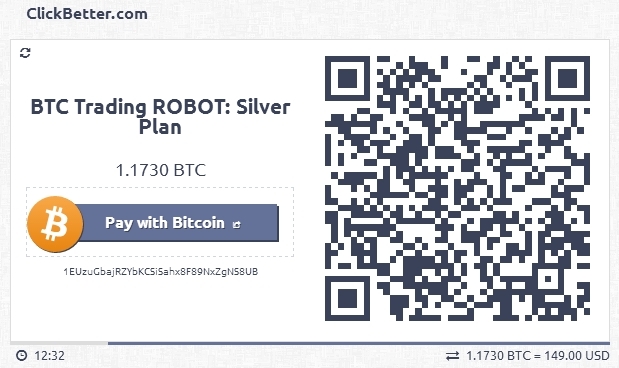 For people who want to buy BTC Robot by using bitcoins, you can do so now! 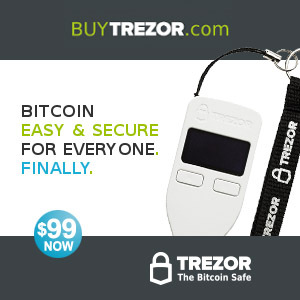 and then simply choose bitcoin (bitpay) as a payment option! Note: You will be required to scan the QR code with your smartphone to open in a Bitcoin URI-compatible wallet as seen below. There is a 15 minutes countdown when you arrive at this page. Therefore, you need to complete the payment within 15 minutes. 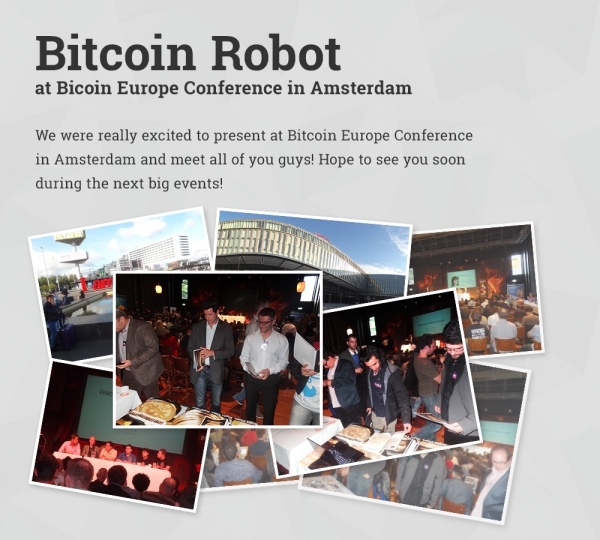 Finally, the BTC Robot is also introduced during a Bitcoin Europe Conference at Amsterdam! There is seriously a lot of good things coming up with this robot. Therefore, for people who are still in the trenches with me to make money from bitcoin trading by using this robot, I would like to congratulate you. As for those who have refunded too early due to impatience, I am sorry to say that you have missed out on great things that are about to happen in the upcoming months for this bitcoin industry. However, you can still remedy it by getting your license again here.